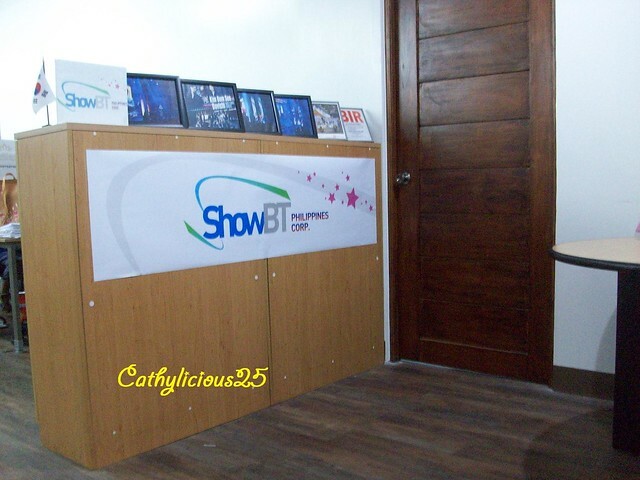 Last May 28, 2017, ShowBT Philippines, Corp. invited us to join SBT Summer Kamp 2017. 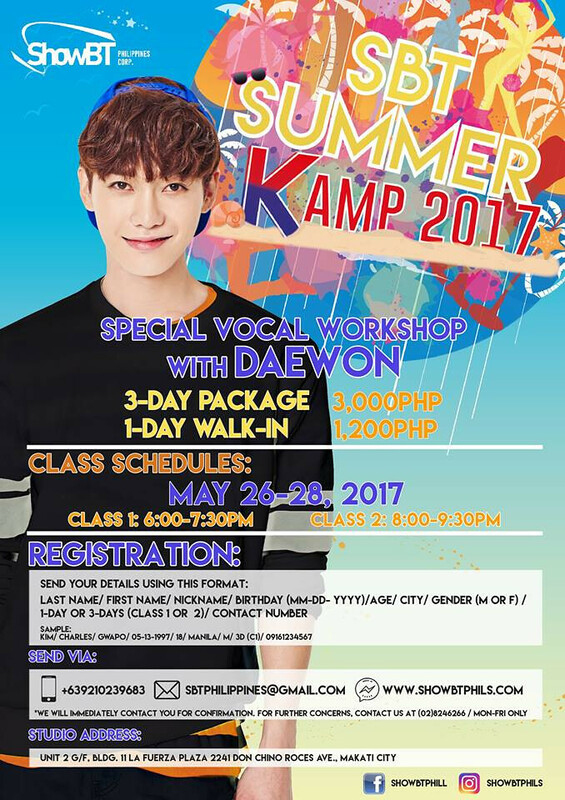 It is a special vocal workshop with Daewon who is a member of OFFROAD, a South Korean boygroup. The workshop was from May 26 to 28, 2017, 6pm to 9:30pm at Don Chino roces Ave. Makati City. The workshop had two classes each day. The first class was from 6 to 7:30pm and the second one was from 8 to 9:30pm. Each class consist of warm ups and vocalization of Gummy’s song “You are my everything”. The said song is the main OST of Song Jong Ki and Song Hye Gyo’s drama “Descendant of the Sun”. The pitch of the song was too high but the teacher gave us some tips on how to sing it. The class started with warm ups and breathing techniques. Then the teacher let us practice the song while he gave tips on how to approach it. Becoming a better singer takes practice, exposure, and confidence. Those were the main advice of the teacher. 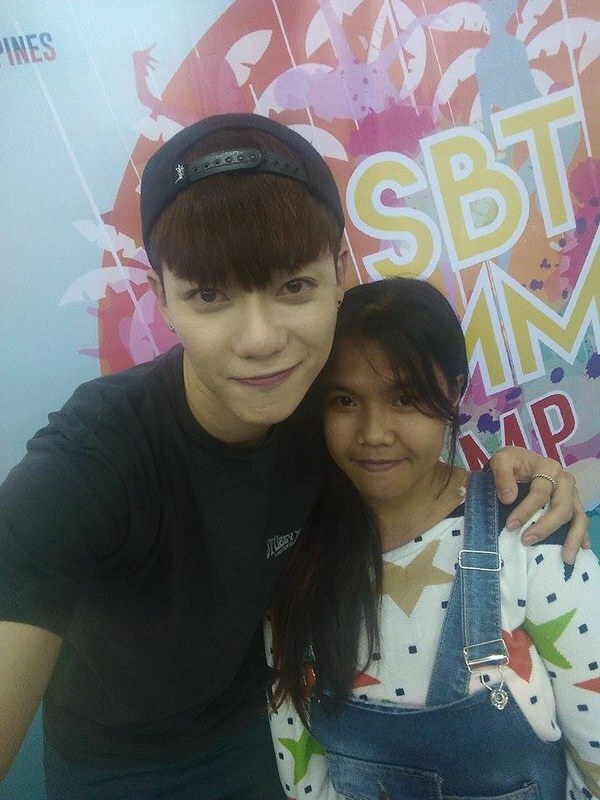 He said that practicing a lot and building your confidence help in improving your vocal skills. At the end of the class, the teacher made us sing one by one while giving feedbacks and tips on how to improve ourselves.